The second annual Relay for Heroes 24-hour relay race, supporting the Intrepid Fallen Heroes Fund, took place September 9-10, 2017, in New York City. The race, hosted by TeamExtreme, started and ended at the Intrepid Sea, Air & Space Museum. More than 80 runners competed in four and eight-person teams, with each runner completing five miles before tagging in a new member of his or her team. The course for the first 12 hours ran from the Intrepid Sea, Air & Space Museum north though Riverside Park to 95th Street and back. The final 12 hours had runners heading south along the Hudson River Park to Pier 40, before returning back to Intrepid. “100% of the funds we raise directly impact the lives of the men and women of the Armed Forces, yet our physical efforts pale in comparison to the sacrifice that they have made,” said Winston Fisher, IFHF Trustee and a founding member of TeamExtreme. Team Semper TMIRCE (“The Most Informal Running Club Ever”) and Team Advoc tied in the four-person team division, with 32 five-mile legs completed. The eight-person team winner was Team Hurry Up and Wait from Turner Construction Company, with 31 five-mile legs completed. Among all runners, Mike Wardian, a marathon and ultramarathon runner-endurance athlete from Arlington, VA, ran the longest distance, with 55 miles completed for Team Advoc.  TeamExtreme is a group of amateur and professional athletes who participate in some of the most challenging events in the world, like marathons, Ironman events and ultra-distance events. The team’s primary event is Relay for Heroes, which raises money for IFHF. This year’s race raised more than $250,000. Over the past 4 years, TeamExtreme has raised more than $2.3 million for IFHF. The Intrepid Fallen Heroes Fund believes in supporting our service members who have sacrificed so much for our freedom. TeamExtreme has a similar passion for making a difference in the lives of others, and IFHF is honored to have the group’s support in hosting the Relay for Heroes. Funds raised by the race support IFHF’s campaign to build nine Intrepid Spirit centers at military bases around the country for treatment of service members suffering from traumatic brain injury and psychological health conditions. Intrepid Spirit centers are currently operational at Fort Belvoir, VA; Camp Lejeune, NC; Fort Campbell, KY; Fort Hood, TX; and Fort Bragg, NC; and two others are being constructed at Joint Base Lewis-McChord, WA and Camp Pendleton, CA. Two additional centers still need to be built. Each Intrepid Spirit center spans 25,000 square feet and is equipped with the latest in brain technology and treatment facilities. Join us next year for the 2018 Relay for Heroes!